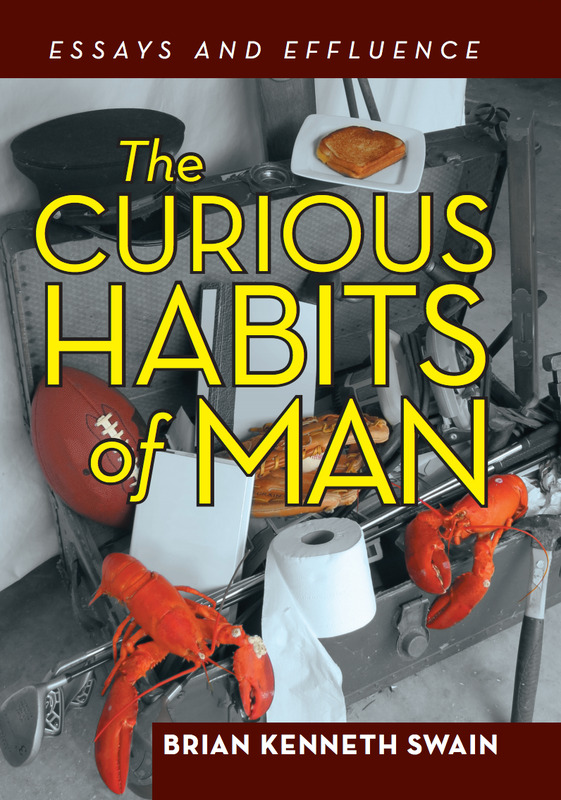 The Curious Habits of Man shares an amusing glimpse at life as one man contemplates many of our greatest-and smallest-questions. What is the one true secret to weight loss? What is the correct way to make a grilled cheese sandwich? Is the designated hitter rule the salvation of baseball or its undoing? Is it rational to be an optimist? And-the question that haunts us all- should toilet paper unwind over the top of the roll or from underneath? In his first collection of essays, author Brian Kenneth Swain tackles hundreds of life’s questions while exploring a vast array of subjects-from tubas to two year-olds, from field goals to child labor laws, and from high school shop class to the worst round of golf ever played. With an acerbic wit and an honest approach, Swain shares his perspective on such pivotal matters as how to ski without losing a limb or your self-esteem, how to correctly prepare and consume lobster according to Maine standards, and whether marketing ploys hypnotically convince consumers to replace perfectly functioning items without a second thought. Swain encourages a kind of tongue-in-cheek thinking that prompts us to take a second look at the world around us.